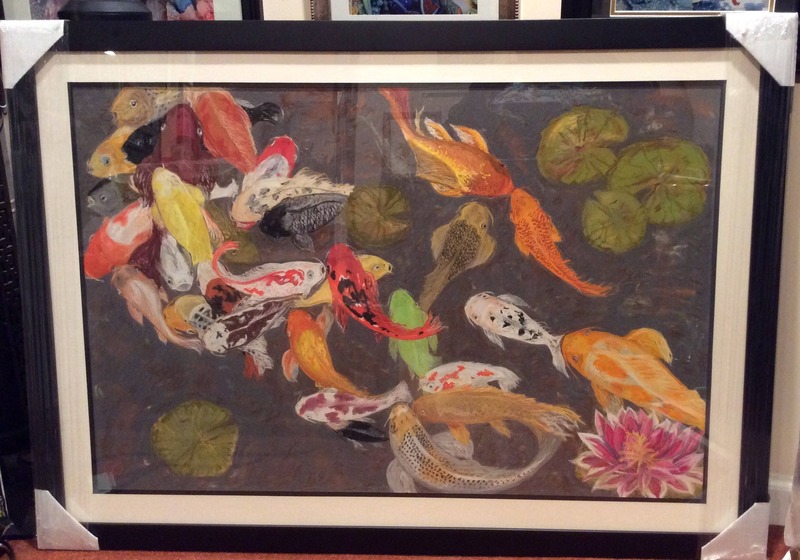 Not being Koi 23" x 35"
This is an original one of a kind pastel creation with vibrant hues. This is a piece depicting a Koi pond and the interaction with a total disregard to color. This piece is custom framed, 28" x 40". Dimension of painting 23" x 35"